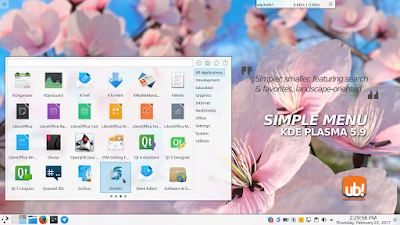 Following "United" theme, there is also "Simple Menu" launcher for KDE Plasma 5.9. It's minimal, a smaller form of full screen menu; it's also clean, showing all applications at once. 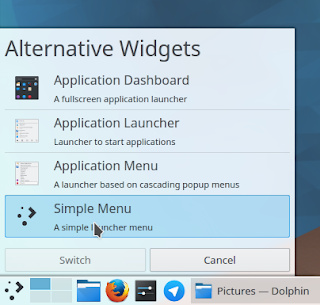 Honestly, it's UI is similar to Pantheon Menu in elementary OS but including categories. If you like horizontal-oriented menu, Simple Menu is suitable for you. It's available to install from KDE Store. Thanks to Sho for creating Simple Menu. 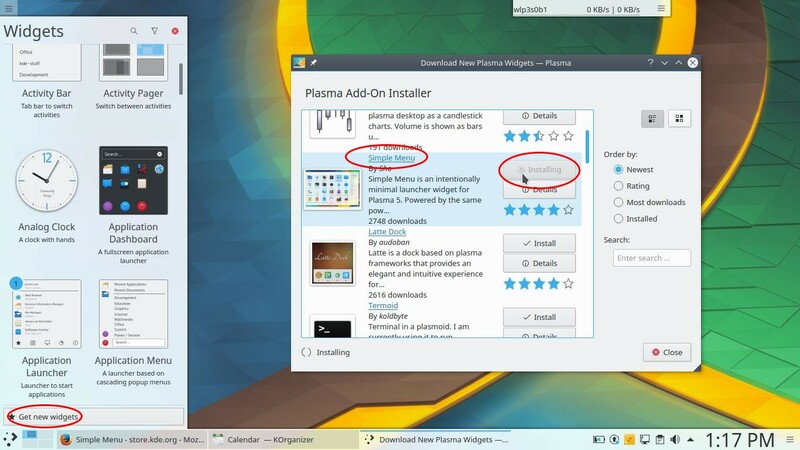 To install Simple Menu, make sure your internet access is enabled, right-click on desktop > Add Widget > click Get new widgets > select Download new plasma widgets > a new dialog appears > search for "Simple Menu" (author: Sho) > click Install button. To enable simple menu, right-click on menu icon button > click Alternatives > select Simple Menu > click Switch. 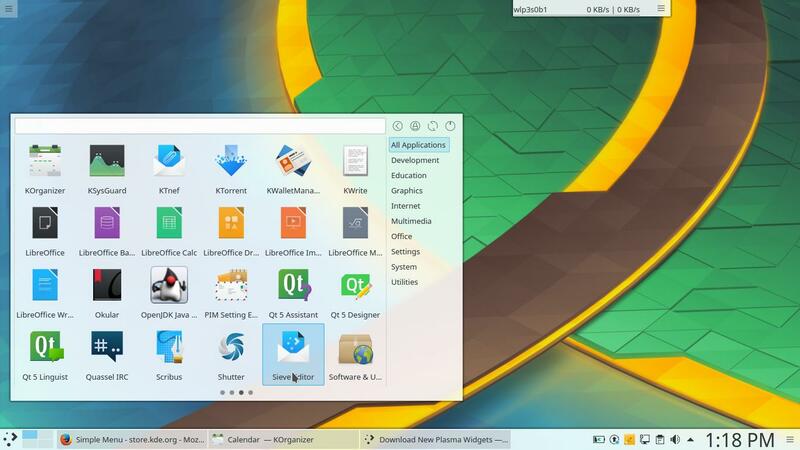 To revert it back, just select Application Launcher again.